Last year, we gathered the statistics from a rental house, store, and image hosting service to figure out the most used equipment over 2017. This year, we’re doing the same, but it’s being split between cameras, lenses, and accessories. The brands have also given us a little extra insight, so we can see some clear and unclear trends. How did the Canon EOS R and Nikon Z series cameras fare? 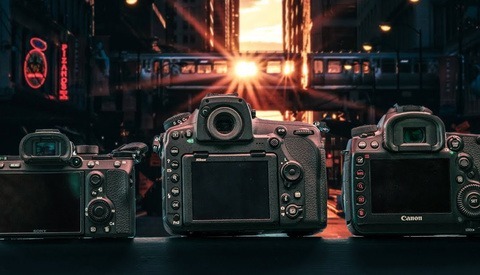 How are DSLRs performing compared to their mirrorless counterparts? Has the latest generation of iPhones seen the same adoption as the last? This year, we’re getting data from B&H, LensRentals, and 500px. Unfortunately B&H only has the last quarter of the year, but we do know what bundles the cameras were bought with. 500px have also focused on their most widely used categories. It’s fascinating that while Sony is killing it here, nobody is buying the a7R, a7S or a9 cameras. My hunch is that since this data is only for the last quarter, most people have already bought these already. 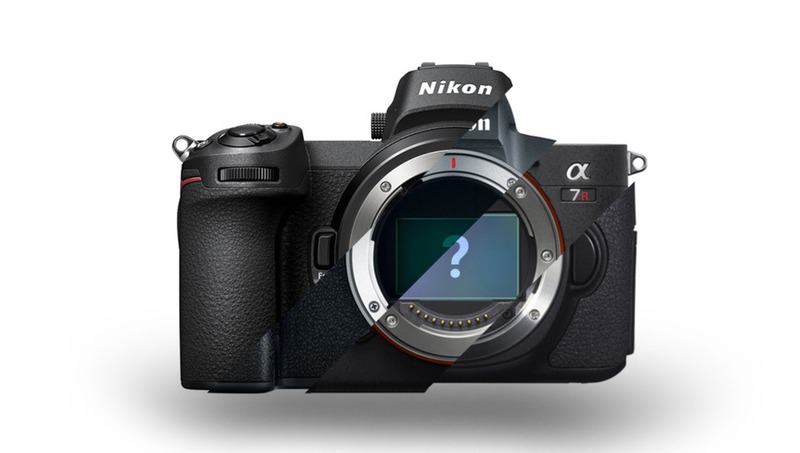 Whereas there have been some great deals on the a7 range, and there may be less anticipation the a7 III will be updated next year. I’m surprised that the Panasonic GH5 hasn’t been picked up more, since it’s been on sale and is still a killer camera for video. DSLRs are dominating on 500px, which is why there are only two cameras in the top ten for any major category on the site. Certain categories are filled with the obvious too: aerial shots are taken on drones, and the film category is filled with film-scanning metadata. Canon is trumping Nikon in every space here, and I can’t see the Nikon D850 in the top ten for any major category on 500px. The Canon 5D Mark III was used about twice as much as fifth place, the 5D Mark II. 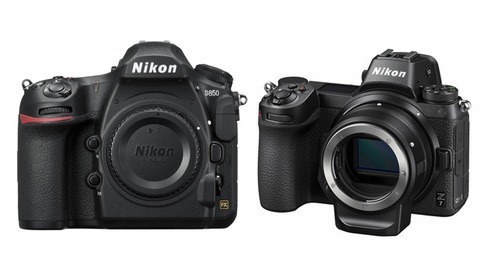 Just like last year, the 5D Mark III isn’t going anywhere. It’s also worth noting that LensRentals only had three DSLRs in their top 20 rentals this year. It looks like Canon has beaten Nikon in this race. While neither wound up beating Sony in B&H sales and LensRentals orders, 500px has some interesting data on their usage. As you can see from this chart, the Canon EOS R had more uploads than both the Nikon Z6 and Z7 combined. What’s even more interesting is the lack of users here. Sure, there’s bound to be less EOS R and Nikon Z users than iPhones or even more seasoned DSLRs. I figured it would be higher. Maybe you didn’t? According to 500px, the Apple might have had good reason to stop talking about iPhone sales numbers. It seems like the latest batch of iPhones haven’t reached the same post-launch numbers that the iPhone X saw last year. In fact, user uploads fell, when last year, we saw steady growth. Happy holidays, and I hope everyone’s filling family photo albums with Christmas shots. Also, the full LensRentals article can be found here. this proves that canon is bigger then nikon. and thats about it. doesnt say much about the camera. mc Donalds is bigger then any health food store. a canon fan will buy a canon mirrorless, same goes for other brands. Hence the use of "most popular" in the title. based on 3 sources. great carrier of affiliate links, news worth, non. I think many users are a bit offended by all the affiliate links. They are supposed to post a disclaimer or full disclosure notice. fstoppers is a website full of articles of other peoples work and the links to youtube video's. every single " article" holds affiliate links. one after the other questionable article holding affiliate links. " 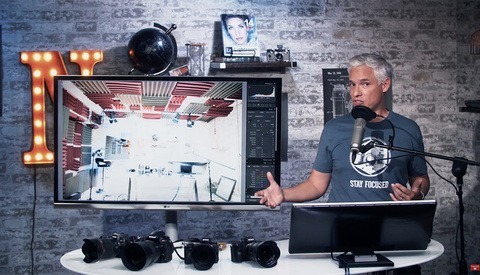 i found a youtube video, here is an affiliate link"
So this article proves nobody actually gives a damn about Canon or Nikon mirrorless cameras... no surprise here ! An ellipsis has three dots. Use an ellipsis to omit a word, sentence, or phrase, not to insinuate the nature of your saltiness. Back to your Scrabble and licorice; carry on. Smarmy dbag. Maybe learn about upright correction since you don’t have any tilt shift lenses for your Sony junk. The USA market might be different from other markets. As a Nikon user the Z6 is a great addition to my kit. I am having a lot of fun with using glass that is 35 years old with all the manual focus assist features now available in the EVF. And I think this is the point. These cameras were built primarily for the existing user base . I could care less if people are buying more Sony or Canon cameras. What I do care about is I can use my existing trove of lenses and lighting gear with one camera system. for photography and video. That's huge.